Welcome to One Tough Summer Camp! Pictured here are six local residents who just completed a 10-day camping experience called Devil Pups. 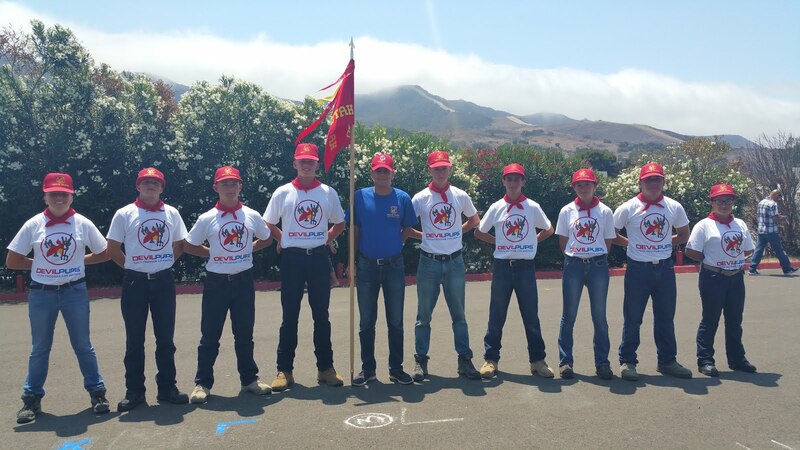 Devil Pups camp is held every summer at the Marine Corps Base at Camp Pendleton, California as part of their community outreach program. Devil Pup Cord Christensen earned one of six PFT awards for the 2nd increment of 300 Pups. 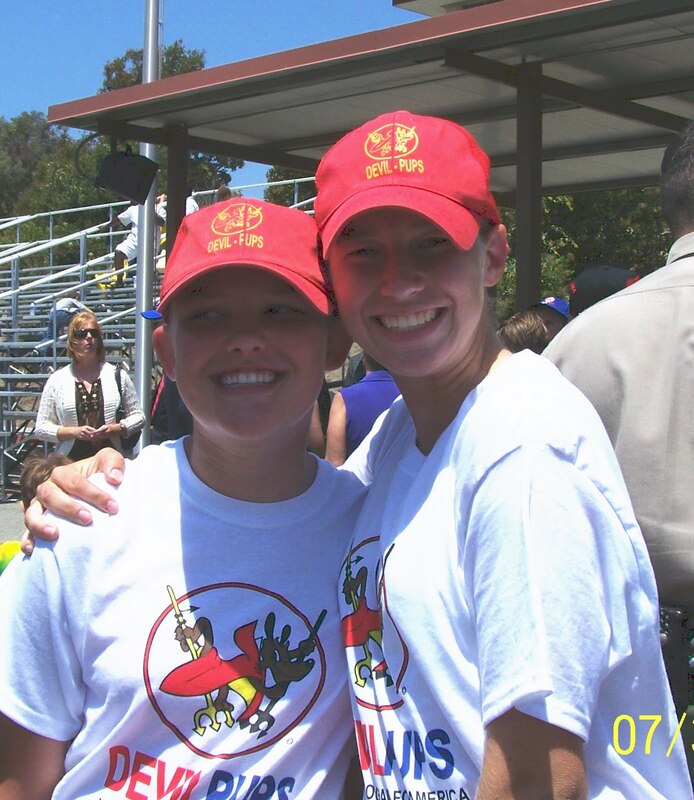 The program involves an annual ten-day youth citizenship program for youths aged 14 to 17 in Southern California. 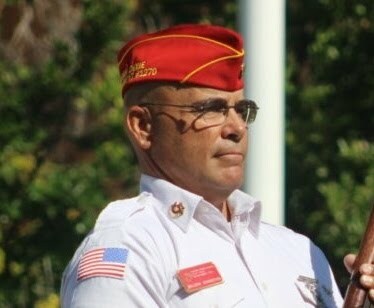 It was initially formed after a 1953 incident in which retired Marine Corps Colonel Duncan Shaw, Sr., learned that a group of teenagers burned an American flag at a Southern California high school. 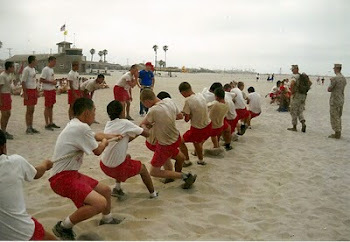 Aggravated by this activity and the attitudes among American youth it represented, Colonel Shaw and a group of retired Marine Corps Reserve Officers, now prominent Southern California businessmen, asked the Commandant of the Marine Corps to help with a community benefit project that would aid the development of character qualities in teenage boys and girls and enable them to become healthier and more successful young citizens. The name “Devil Pups” was derived from actual Marines being called “Devil Dogs” by German troops in World War I. 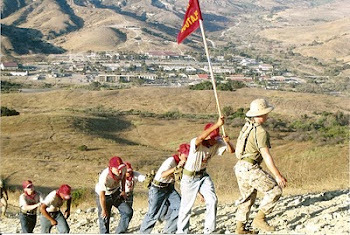 This program, created by retired Marines and held at Camp Pendleton, a Marine Corps base, was then named “Devil Pups” due to the age of the candidates. 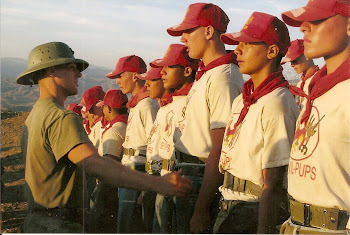 Teens are given information about the program and if they are interested in attending camp, they must complete two physical fitness tests, complete an application about why they want to attend this camp, and pass a physical exam. 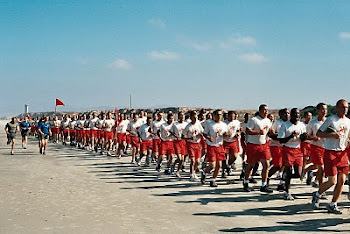 Physical fitness tests include sit-ups, push-ups, pull-ups and a one-mile run. 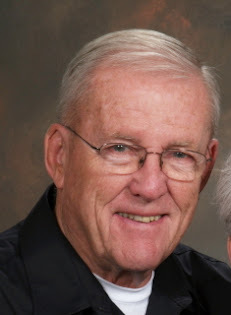 The local representative for the camp is Lt. Col. William C. Toole (USMCR, Ret.) and the selection process begins in January of each year for summer encampments held in July-August. For more information, contact Bill Toole at (435) 652-3998. Shown L to R: Mariah Allred, Chris Nebeker, Garrett Allred, Garrett Hays, Mike Trostrud and Kelsy Simmons. 2011 Devil Pup camp is over and we have nine more outstanding graduates from the State of Utah. The accomplishment and pride shown on these faces says it all. Special congratulations to Cord Christensen for one of six PFT awards! Congratulations, Devil Pups! This is a 7-day heads-up for Awards Night at The Pizza Factory, 2 West St. George Boulevard, St. George – in Ancestor Square. We will meet in the upstairs room reserved for larger parties. All-you-can eat pizza, bread stix and drink for $8 adults, $4 children under $10. Family and friends are invited, as well as program supporters, donors, mentors and Col. Whicker! See you at The Pizza Factory, Tuesday, August 9, 6:00 p.m. The second car wash will be held Saturday, May 21, 2011 at Hilltop Car Wash; same place; 9 to 12 noon. You will all receive 10 tickets to sell prior to that date. Please note you are expected to sell all the tickets and return the money envelope to either Donavan Millet at Dixie High School or myself. Please e-mail me so I can arrange to collect your ticket sales, or bring the envelope with the money in it to the car wash on the 21st. 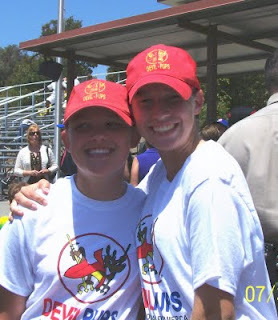 There were three candidates who had put their names on the list to be considered as 2011 summer camp attendees who did not show up at the first car wash and did not call me before or after with an explanation. Those candidates are really behind the power curve at this point with no ticket sales reported and no points for attending the first car wash. I do not yet have DP applications filled out for J. Arrias (one page is missing), K. and B. Simmons, W. Stevens and C. Nebeker. Please let me know when I can expect your applications. Please mark your calendars now for the May 21st car wash fund raiser if you wish to be considered as a serious contender for one of the Devil Pup slots for summer encampment. Watch for further particulars for an Applebee's fund raising night. Applebee's in St. George has agreed to hold a fund raiser for Devil Pups where all those who come in with a coupon will get 10% off on their meals and the 10% will be donated to Devil Pups. We will be setting up a date (most likely a Monday or Tuesday evening which is best for Applebee's), a link to a coupon, and we will keep you posted when that is finalized. Devil Pup Candidates: Saturday is the first fund raising project. Please be at the Hilltop Car Wash at 160 N 900 E, next to Denny's, before 9:00 a.m., ready to help at the car wash for which you sold tickets. If you haven't gotten your ticket sale money to Donavan Millett or myself, please bring the envelopes with you Saturday - be sure to put your name on your envelopes so you will get credit. The car wash runs from 9:00 to 12:00 noon. See you there! Several young men and women came to the second informational meeting this evening. As it stands right now, we have 15 young people (4 females and 11 males) for 11 slots, (2 females and 9 males). Only six candidates have their paperwork in. For those of you serious about your desire to go to Devil Pup camp this summer, please make sure I have these application papers ASAP. These are initial stats only; things change quickly all the way up through the PFT tests. The Allreds have already sold two envelopes of car wash tickets and took more to sell! The car wash is this coming Saturday (the day before Easter) from 9:00 to noon, next to Denny's above St. George Boulevard. Remind your friends to get their cars washed for their Easter parades! Get your ticket sale money to Donavan Millett at the high school this week (be sure to put your name on the envelope so you get credit for those sales), call me to pick it up from you, or bring it with you on Saturday to the car wash event. 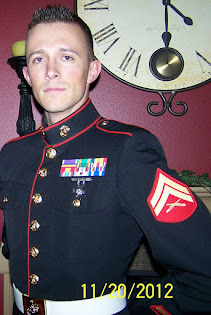 As always, if you learn of someone who will donate to the program, have them make their tax-deductible checks to (1) Devil Pups, Inc., or (2) Utah Dixie Marine Corps League Detachment #1270. 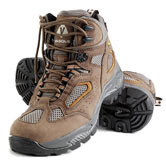 Both organizations are 501(c)(3) and thus donations are tax exempt. See you Saturday 9:00-Noon at Hilltop Car Wash.
We scheduled a “pick up” meeting for those Pups/Parents who could not make yesterday’s meeting. 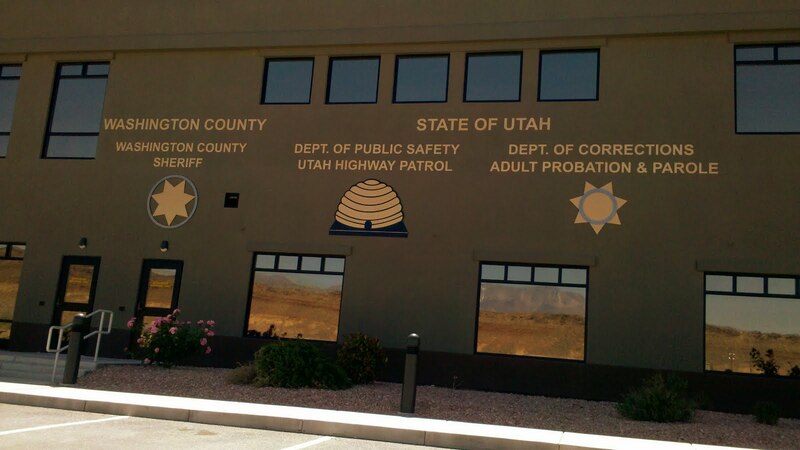 The pick up meeting is scheduled for 5:30 p.m. on Monday, April 18, in Community Room B of the St. George Library on West 100 South in St. George. If you are unable to attend or if you wish to remove your name from the candidate list, please have the courtesy to call me at (435) 652-3998 or e-mail me. This reminder was sent to the entire mailing list and can be ignored by those Pups/Parents who attended yesterday’s meeting. 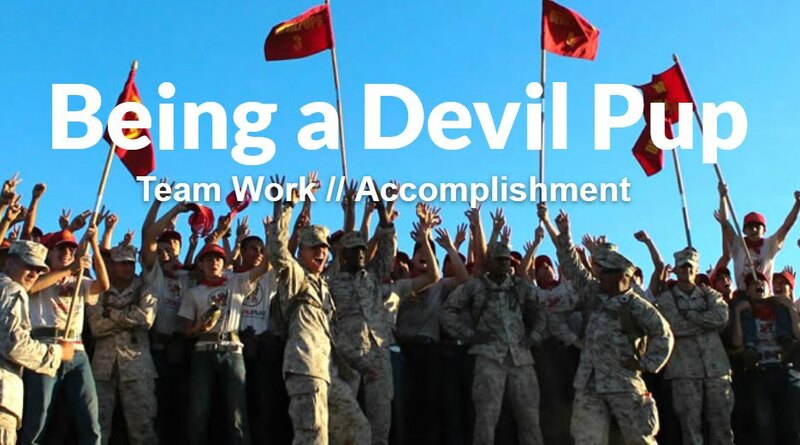 Reminder: The first of two information meetings regarding the 2011 Devil Pup program will be held at the St. George library in Meeting Room "B" in the basement.Tuesday, April 12. Please bring a parent or guardian and also complete the two forms sent to you earlier and bring them with you. The meeting begins at 5:30 p.m. 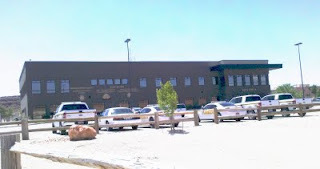 Address: St. George Washington County Library, 88 W 100 South, St. George, UT. Thank you for your interest in the Devil Pup program. This message you are reading explains the next steps in the selection process. Two forms are attached at the bottom this blog. 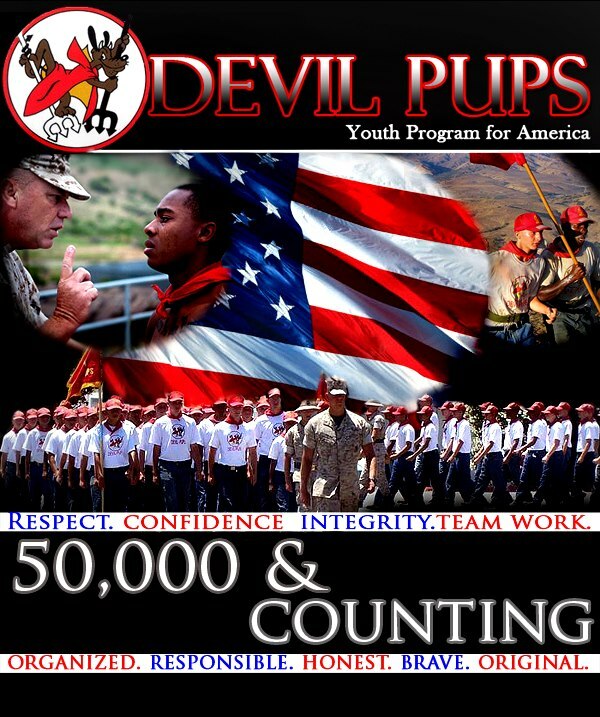 One form, titled “Devil Pups – Youth Program for America” is to be completed by the parent or guardian. When completed, it gives data on medical history and contact information, which will be seen only by Devil Pup program staff. The second form, our “Selection Questionnaire,” is to be completed LEGIBLY by the applicant. This two-page form, when completed, tells us why you think you should be chosen for this year’s program. If you cannot print a full-size copy of these forms from the link below, e-mail me for a PDF copy. Complete these forms and be prepared for the next step – the Parent/Pup joint conference with me, the Liaison Rep for Utah/Eastern Nevada. Choose one of the two dates shown above. REMEMBER TO BRING YOUR TWO COMPLETED FORMS WITH YOU. If neither date “works,” call me at (435) 652-3998 and leave a message, if you are still interested in being considered for the program. We will leave St. George late Wednesday night, July 20th, for the drive to Camp Pendleton, California. Get some sleep ahead of this trip! We will join the Las Vegas Pups on a tour bus, stop for breakfast in Barstow, and arrive at Camp Pendleton Thursday a.m. approximately 8:00 a.m. (0800). Parents are responsible for transportation home for their Devil Pup. 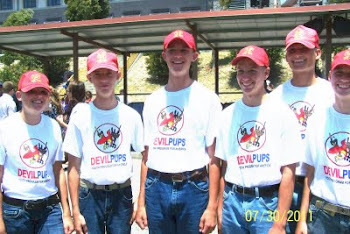 A link to the official Devil Pups, Inc. website for further information is included at the bottom of this web page. 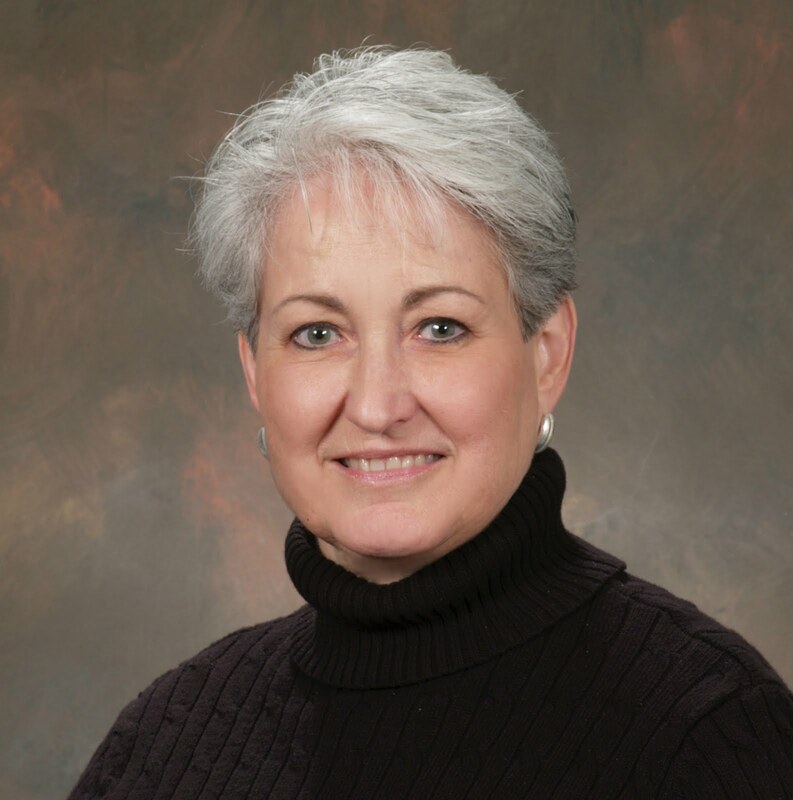 Please contact me at wctoole@sunrivertoday.com if you have questions. 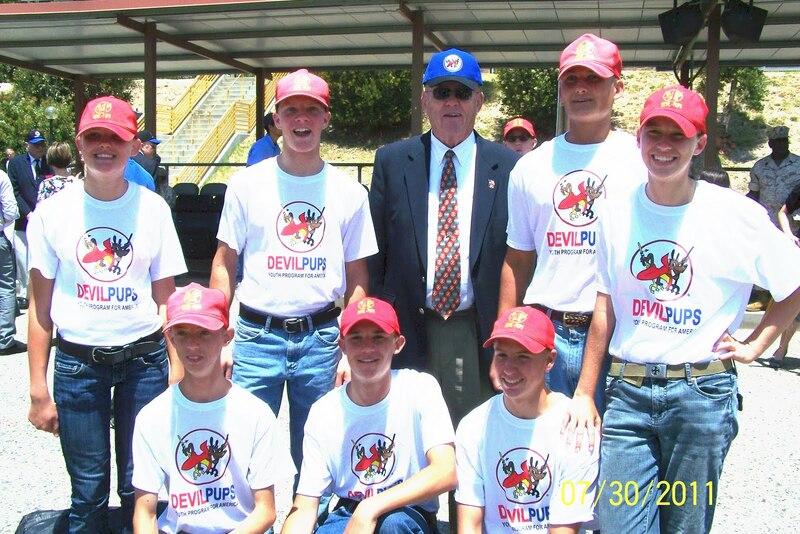 The 2011 Devil Pup program will hold a car wash at Hilltop Car Wash, behind Denny's on St. George Boulevard and 1000 East, on April 23, 2011. 9:00 a.m. to 12:00 p.m.
Each Pup Candidate will be given 10 tickets to sell for $5.00 each ($7.00 for over-sized vehicles). 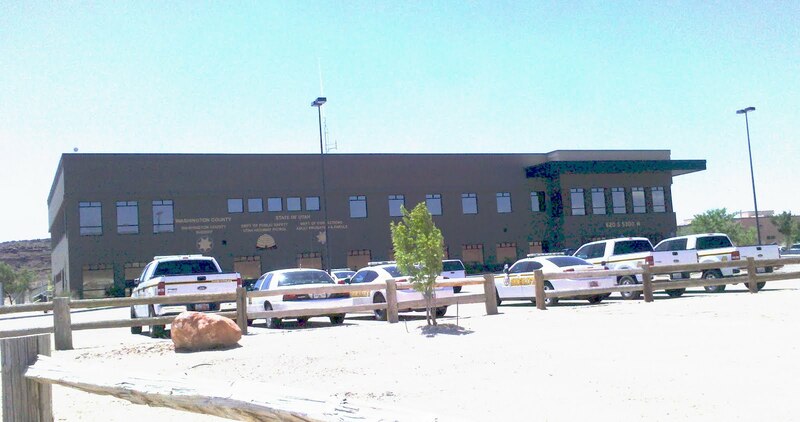 Hilltop Car Wash will allow Devil Pups the use of the wash process, and the Pups and other volunteers will dry the vehicles and clean the windows. All Pup Candidates will help sell tickets and help with the work detail on the 23rd of April. There will be another car wash in June to be manned by successful Devil Pup candidates for 2011, plus other volunteers. 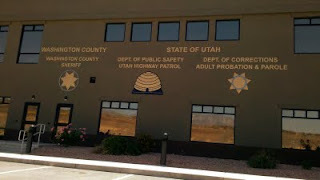 There will also be volunteers and ticket sales by the Utah Dixie Marine Corps League members. If we all work together on these two fund raisers, we will reach our annual goal of $5,000 by mid-June. The Devil Pup experience is free to the Pup and Pup's family. 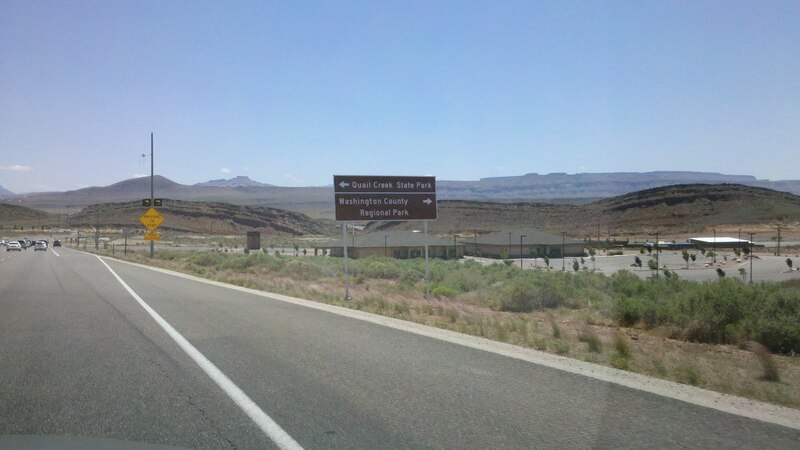 This year, the quota for Pups from Southern Utah is 11 young men and women. Your tax deductible donations for the support of this ongoing and outstanding program, that makes a difference in the lives of young people, will be very much appreciated. The cost per Devil Pup is $450. If you can support one or more Pup, or have another amount you would like to donate to the program, please make your checks payable to "Devil Pups, Inc." and contact me for delivery of the donation. Please consider the "Testimonials" section of this blog for the changes your donations can support in the lives of these young people and their parents.